Chinese artist Liu Wei is a man to watch in the new Chinese art scene. He creates installations, paintings and videos oscillating between order and disorder. 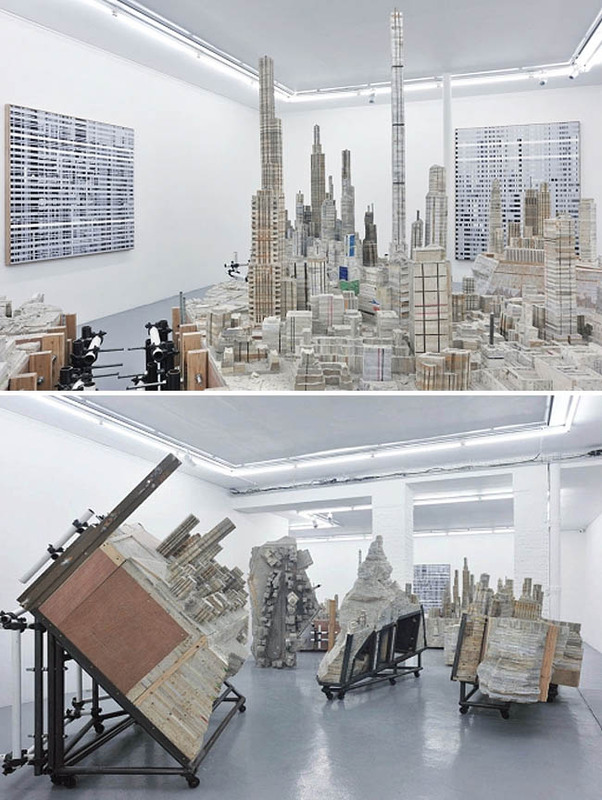 His installations/cityscape sculptures are at times sprawling and depict cities in a state of metamorphosis, something he can relate to in the development of his native city, Beijing. 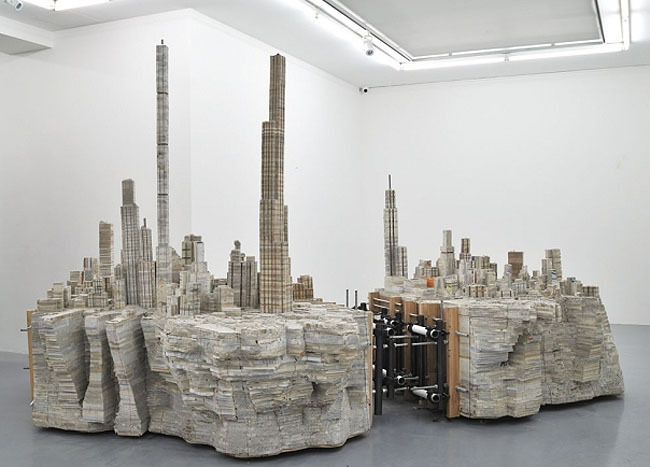 Presently, Liu Wei has his first solo exhibit, Foreign, at the Almine Rech Gallery in Paris. The installations in this exhibit are, once again, cityscapes made from stacks of schoolbooks, held together by steel rods and wood clamps. These are unidentifiable skylines, including a range of iconic buildings from the Pentagon to Saint Peter’s Basilica. His hanging installation above, is titled Don’t Touch and was exhibited at the Farschou Foundation in Beijing last year. That work is made of oxhide, wood, and metal. His earlier work Love It! Bite It! was made of edible dog chews. 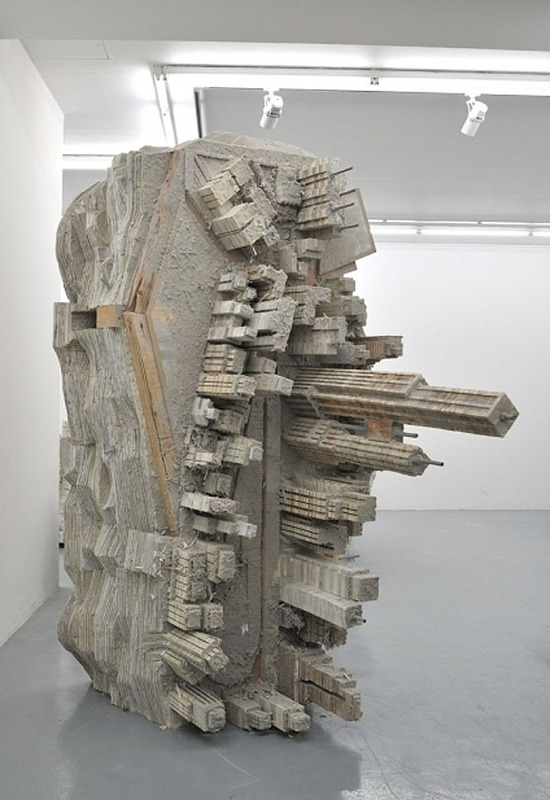 Liu Wei’s exhibit at Almine Rech Gallery will be on view through May 16, 2012.